Locked out of your car or truck? Did you leave the car running? Parked in a bad spot? Dixie Lock & Safe can save the day! 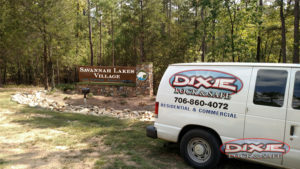 Dixie Lock can open your car, truck, van or RV, and even make keys for your older or newer vehicles. Calling with the year, make and model of your car will help us expedite your call. 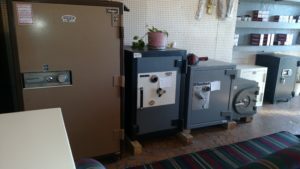 Is your safe giving you trouble? Issues with your combination? Dixie Lock & Safe can be the expert that opens your safe with no to very minimal damage, almost always being able to put the safe back into Service. We can usually get to your location and help with your safe within minutes of you calling us. Keys Locked in the House? Locked out of your house? Closed the door behind you with the keys inside? Did you leave something on or have pets inside? 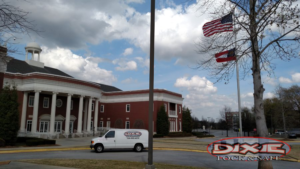 Call Dixie Lock & Safe and we’ll quickly have somebody come to your home to let you back in. We can even make you new keys or change keys without replacing the lock, while saving you money. Lockouts, locked safes, break ins or emergency repair? These things happen at odd times. Dixie Lock & Safe’s Emergency Service can help your business from such disasters. Give us a call for an estimate for any of your emergency needs. If you need your business re-keyed, or your safe opened. Call Dixie Lock & Safe.